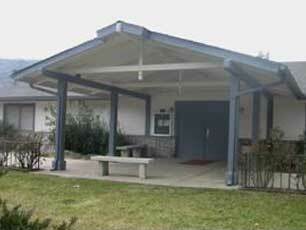 The Oakhurst Community Center is host to many significant events in the mountain community. It is the centerpiece for service club fundraising activities and town hall meetings. 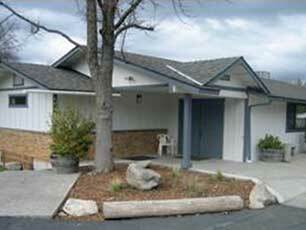 The Mountain Community Women is the support group for the Community Center and holds special events and monthly meetings here. The Community Center is the location of many weddings, receptions and other private affairs where a large room and kitchen are required. Use of either round or rectangular tables and white folding chairs is included with all rentals, as is use of an ice machine. The Main Hall has hardwood floors, a stage with a sound system, kitchen, wet bar, and an adjoining smaller room which can be used for staging a large event. The lobby separates the main hall from the restrooms and the main entrance. This room has a maximum capacity of 299 with comfortable banquet seating for up to 240 persons. The kitchen includes a commercial 6-burner range with large double ovens which may be used by either you or your caterer to service your event. Users may decorate the Main Hall to suit the purpose of their event. The facility coordinator can assist you with suggestions for decorations and outside vendors for catering, floral arrangements, etc. Adjacent to the Main Hall is the newly remodeled Pavilion Building. This room provides a place for smaller gatherings, and has an assembly capacity of 185, or a dining capacity of 100. This building also has a full kitchen, and Pancake Breakfasts are held here bi-monthly. A covered breezeway connects the Main Hall and Pavilion and offers an area for additional seating when weather permits. The large parking lot and grassy grounds, with a small stage and fire pit area at the front of the property, provide options for outdoor events. With two buildings, two kitchens, a meeting room, and spacious grounds – the Oakhurst Community Center provides great options for your event. 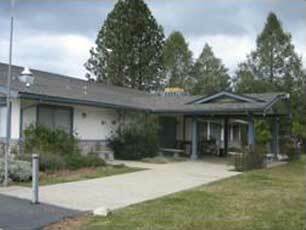 The Oakhurst Community Center operates as a non-profit for the benefit of community.